Carry Federal HST ammunition with confidence: it was designed to meet the self-defense needs of law enforcement officers and it will serve citizens equally well. 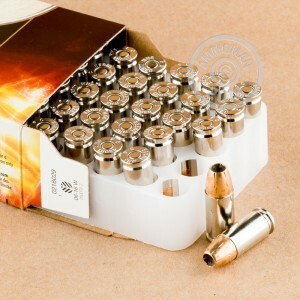 These cartridges feature a hollow point bullet with a skived tip that expands into six petals to produce high diameter expansion and just the right amount of penetration. 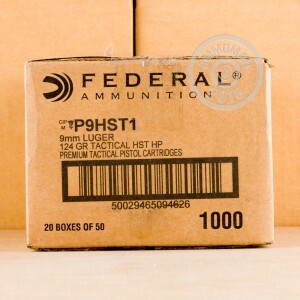 Each cartridge in this case of 1,000 (ideal for extensive training or group buys) fires a 124 grain HST bullet at 1,150 feet per second, producing typical ballistics for standard pressure 9mm Luger loads. 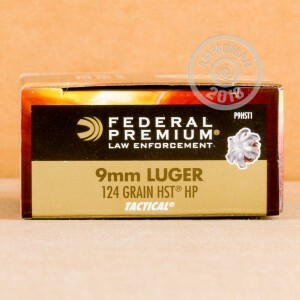 Federal HST ammunition uses non-corrosive primers and reloadable nickel-plated brass cases. Pick up this case or any other combination of items totaling $99 or more to get free shipping!